Grant funding is available for training students grades 9-12 and school staff. To qualify, CPR education does not need to cover all victim sizes (adult/child/infant) but does require a hands-on component to training. Funding can be used for purchase of supplies, training materials and CPR trainers. Because this is simply a recommendation with funding available, course content and implementation is largely left to the discretion of the district. 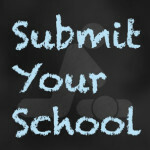 ON AND AFTER SEPTEMBER 1, 2014, EACH LOCAL EDUCATION PROVIDER MAY APPLY FOR A GRANT OR GRANTS TO PROVIDE INSTRUCTION TO STUDENTS IN ANY OF GRADES NINE THROUGH TWELVE AND SCHOOL STAFF IN ANY OF GRADES NINE THROUGH TWELVE IN CARDIOPULMONARY RESUSCITATION AND THE USE OF AN AUTOMATED EXTERNAL DEFIBRILLATOR. 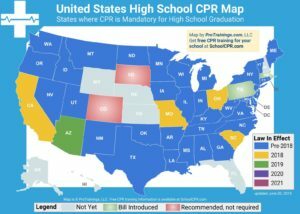 Training high school students on the effective implementation of cardiopulmonary resuscitation (CPR) and the use of defibrillators is an effective way to increase the number of Coloradans capable of performing CPR and using an automated external defibrillator (AED) to save lives. Additionally, requiring high school athletics coaching staff to obtain instruction in the effective implementation of CPR and use of an AED is an effective way to reduce risk to student athletes and to increase the number of adults in public schools who are able to apply and use these life-saving measures. These training programs will qualify for state of Colorado grant funding.